A 100-room hotel is coming to the corner of Bedford Avenue and Eastern Parkway in Crown Heights. It’s an unusual place for a hotel, in the heart of a residential neighborhood in central Brooklyn. But the C8-2 zoning only allows commercial development, and that’s what will get built. South Williamsburg-based developer Yoel Schwimmer has filed plans for a five-story hotel at 1548 Bedford Avenue. Its 100 rooms would be spread across just 38,302 square feet of commercial space. The first floor would have a lobby, banquet hall, and restaurant, followed by 43 hotel rooms on the second floor, 31 rooms on the third floor, and 26 rooms on the fourth floor. The top floor would offer a bar, and there would be shared terraces on the third, fourth, and fifth stories. ODA New York’s Eran Chen would design the project, and given the firm’s track record of interesting buildings, we hope it’ll be a unique addition to the neighborhood. ODA and Schwimmer have teamed up before. They’re working together on a glassy, 28-story tower at 436 Albee Square in Downtown Brooklyn. The site is a former gas station and reasonably sized at 19,200 square feet. It would be an ideal place for residential development, because the 2, 3, 4, and 5 trains at Franklin Avenue are a block away, and lack of inventory in Crown Heights is pushing up rents. Across the street, on the north side Eastern Parkway and Bedford Avenue, another gas station was demolished last year to make way for 133 apartments. 5 Comments on "Permits Filed: Hotel at 1548 Bedford Avenue, Crown Heights"
Cheer!..for basic development and redo new structure. The question is HOW inappropriate and hideous the architecture will be. GLASSY? How about they hire a classically trained architect and show some respect for our early 20th century neighborhood build something ELEGANT and make MORE money??? A glass and steel affair would stick out like a sore thumb amongst the brick midrises and blocks of houses along Carroll and President. I just checked out the cement and glass MONSTROSITY this “architect” designed in downtown Brooklyn. PIECE of visual GARBAGE. So where is the AFFORDABLE HOUSING our useless mayor has been squawking about? 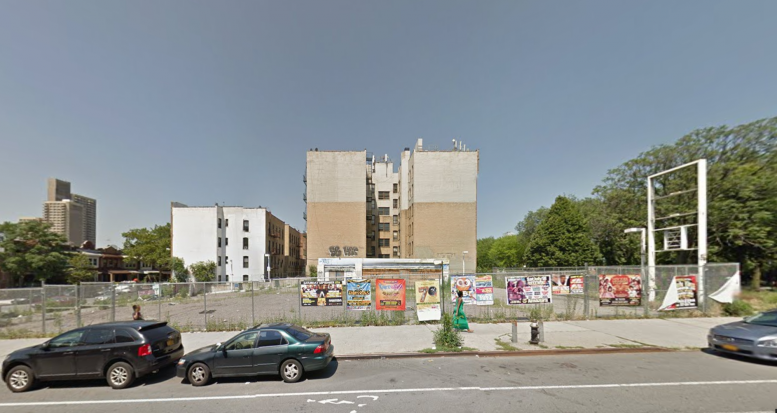 Why wasn’t this site REZONED for truly affordable housing? What is WRONG with designers and architects (we can’t expect any intelligence from the crass developers) that they continue to build this soul crushing crap (studies PROVE that that sinking, depressed feeling you get from these eye sores is REAL) and call it “innovative”. They need to be reeducated in classical architectural rules and at least produce something we can all look at with out reaching for the prozac!!!! Will they hire locally? Living wage jobs? TRAFFIC????? Why is the word PLANNING used with the city “planning” office I wonder? It should really be CITY HANDING OVER TO DEVELOPERS OFFICE, if we’re being honest.